Ever since MUA released their new Professional products I've read a lot of reviews about the Heaven & Earth palette but I haven't heard anything about the eyeshadow trio's. I thought I'd show them a bit of love as they're really great. From first glance, they look exactly like the Bourjois trio's. I haven't tried these so I can't compare them any further than that though. 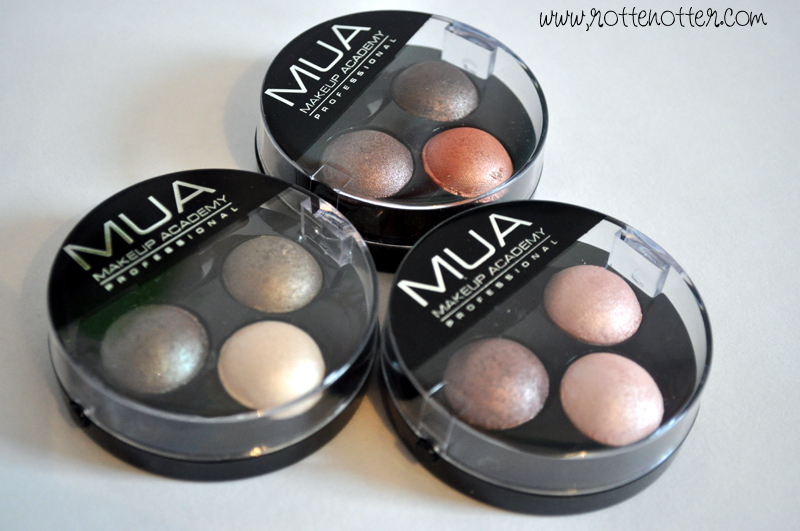 These MUA one's only cost £2.50 compared to Bourjois' £7.99. Bargain! I have three of the more neutral set's. There's a blue set, purple set, green set and a smoky set as well. 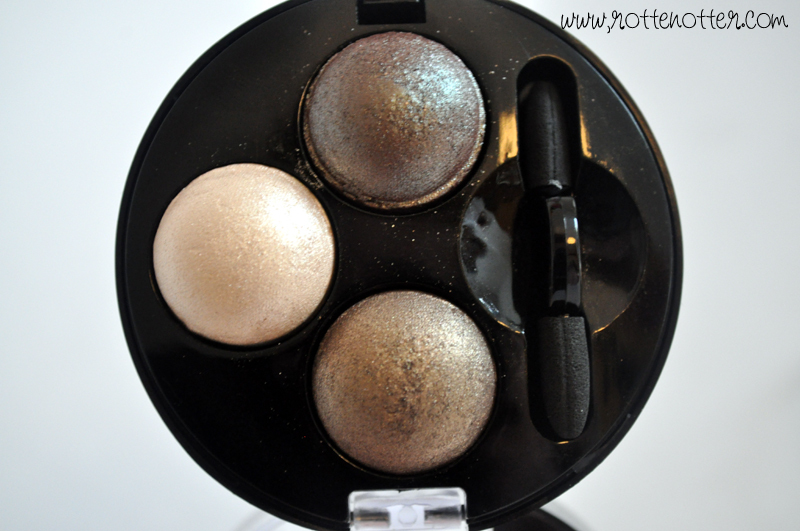 Out of the three I have, all of the eye shadows are shimmery. Not glitter though and I haven't noticed any fall out. They're soft and creamy, blend well and are just nice to apply. Not what I expected considering the price! Innocence is the perfect trio for traveling. 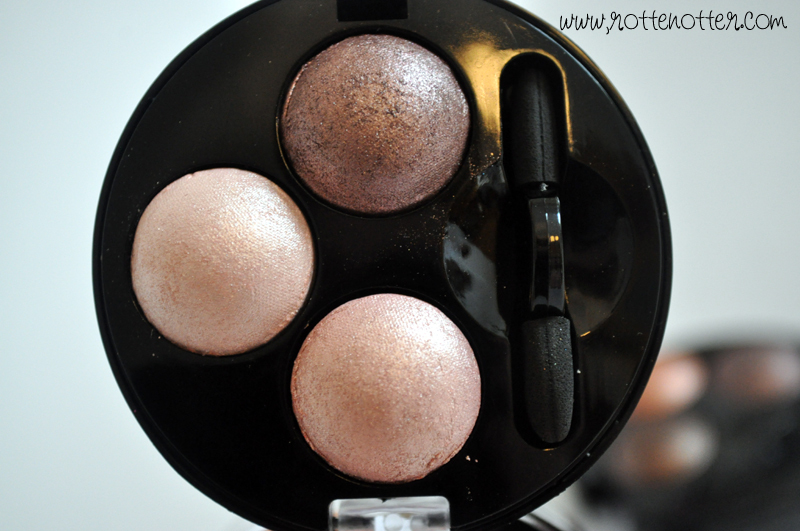 You have a highlight, lid colour and crease colour in one palette. When I first looked at Pink Sorbet (I ordered online) I was a bit unsure if I'd like it. I don't normally do pink eye shadow. The two bottom colours are actually more champagne than pink when swatched. 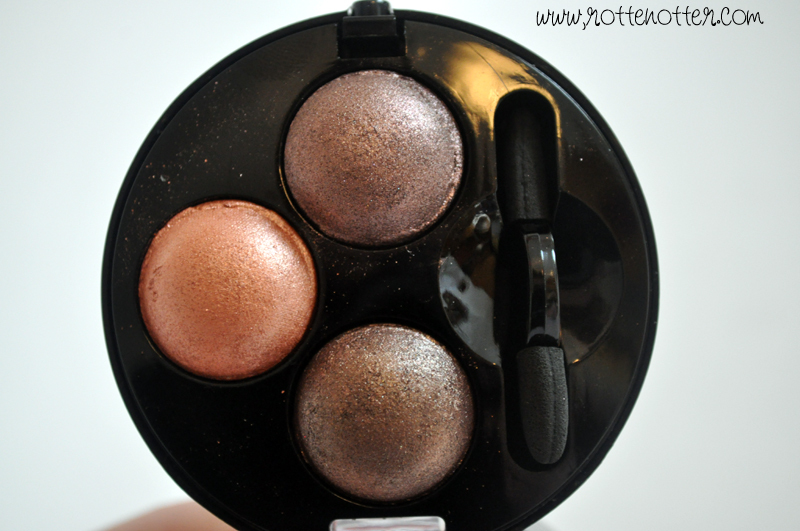 The perfect highlight or all over lid colour. So pretty! I wish I had access to MUA. 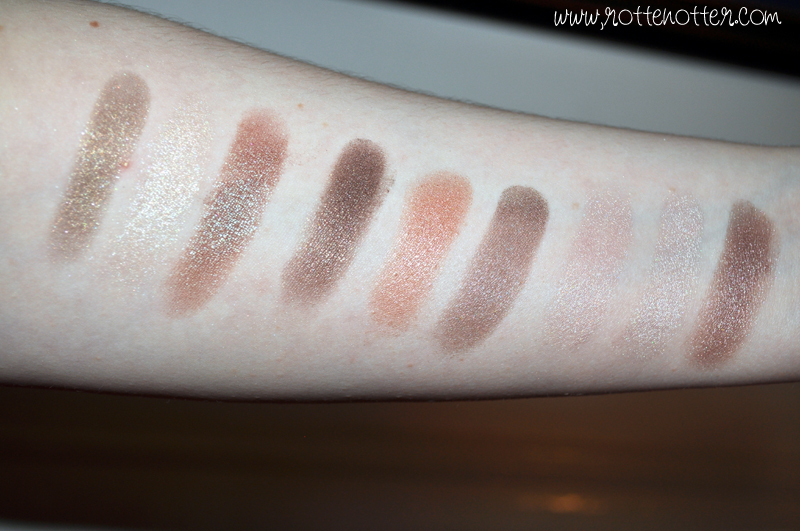 I've been lusting over the Heaven & Earth palette swatches. Ah! I kind of want to go and get one of these trios right now. I have a few of their Professional Palettes and they are really amazing. I've been meaning to nab one of these for a while, but they're always sold out when I head into Superdrug, I guess for good reason!